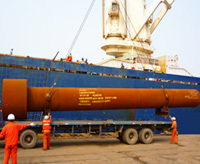 As international forwarder with project expertise, Zephyr Logistics Ltd. ensures that your heavy, oversize, and difficult-to-handle cargoes receive the care they demand. We provide an elevated level of technical expertise, making available total transport services to ensure the best possible operational plan for your shipment. These services are personalized to suit your objectives of pre-planning, loading, and discharging your cargo. We are available 24 hours a day, seven days a week. Your project cargo can be transported exclusively, or in combination with other cargoes depending on your needs and priorities. You will receive the quickest possible response to your transportation inquiries, and our strong network of agents speeds the movement of your cargo and attends to the required documentation. Our success results from establishing trusting, long-term relationships with clients and carriers. We adjust to your diverse requirements and provide creative solutions to the various circumstances that come along in the transportation industry. If you seek maximum flexibility, the best technical expertise, pricing, and unrivaled commitment to service on your shipments - you should talk to us. 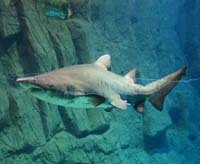 The 4 sharks have been transported to Shanghai Chang Feng Park safely on 17th Nov 2009 on behalf of Members of the Oceanis Australia Group. 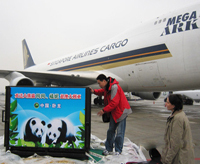 During the sharks transportation procedure, it had many areas that needed full coordination and liaising. Under the utmost cooperation from all the fellow colleagues in Shanghai office, we were able to successfully accomplish the task. 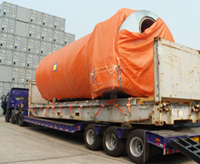 2009 April, under our Beijing Ocean Export department, marketing department and Dalian branch colleagues’ efforts, we successfully finished ThyssenKrupp mechanical equipment transportation project. We won the bid and undertook the project of key component transportation-reheat tube bundle for China Qinshan nuclear power plant from Huston to Dalian and Tianjin. The project team was formed as a result of that. 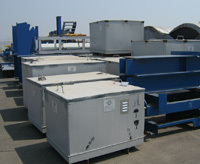 All the cargos had been carried to the appointed area successfully after the careful planning and arrangement. From Jun of 2008, Zephyr TSN work closely with our German colleagues, and finally got the transportation project of DURR, special paint supplier of Yutong, transport from Stuttgart to Zhengzhou. As showed from below chart, it’s one of the “Big Mac” that we undertook. From Durr to Xingang, 23 days, and from Xingang to Zhengzhou, we did the rapid clearance, pick up the goods, investigate the route in advance, and arrange the inland transportation, it took two days to delivery the goods to Yutong’s assembly line, and make sure everything is on time.